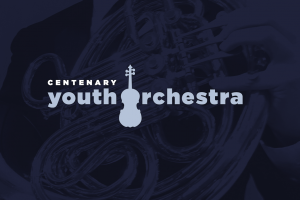 SHREVEPORT, LA — The Centenary Youth Orchestra (CYO) has set three audition dates for its upcoming 2018-2019 season. The CYO provides a unique opportunity for student musicians 13 years of age and up to perform side-by-side with college-level musicians studying at Centenary’s Hurley School of Music. Conductor Daniel Santelices is entering his second season leading the CYO. Auditions will take place at the Hurley School of Music on Monday, August 27, from 7:00-8:30 p.m., Friday, August 31, from 4:00-6:00 p.m., and Sunday, September 9, from 2:00-5:00 p.m. Auditions may also be scheduled by appointment with the conductor for those unable to attend those dates. Audition requirements for bowed-stringed instruments, woodwind and brass instruments include one major and minor scale, a two to three minute solo selection, prepared orchestra excerpts selected by the conductor, and sight reading. Keyboard/piano, harp, timpani and percussion players need to also prepare a short solo selection and requested orchestra excerpts. Rehearsals for the CYO begin Monday, September 10, from 7:00-8:30 p.m. in Feazel Rehearsal Hall at Centenary’s Hurley School of Music. Student musicians should contact the CYO at dsantelices@centenary.edu or call the Hurley School of Music office at 318.869.5235 to schedule an audition.